Are you armed and ready for school holidays? Sure, it’s great to sleep in, to not have to make school lunches at 7am and to spend time with the kids, but holidays can also cause the whole household to go a little stir crazy with a lack of routine. With two full weeks of your little minions at home with you, you are going to need to be prepared. So we’ve come up with a plan. And, it’s a good one. We’ve got a two week day-by-day survival guide that will ensure you all make it through these holidays alive and well. Make sure you complete your school holiday survival kit with new Elastoplast Character Strips, featuring favourites from the new movie Minions. Why? Because it’s just not a relaxing break with the kids without a few cuts, scrapes and tears along the way. Good luck and we’ll see you on the other side of July. Head to the local park. Bring every item of sporting equipment that you own. Throw balls for the children to fetch until they tire. Expect to be there until dark. Do some baking with the kids. Watch in horror as your home is turned into a frenzy of flour, sugar and egg shells. Arrange a cleaner to arrive at your house at 4pm, just before your partner returns from work. Head to the movies. 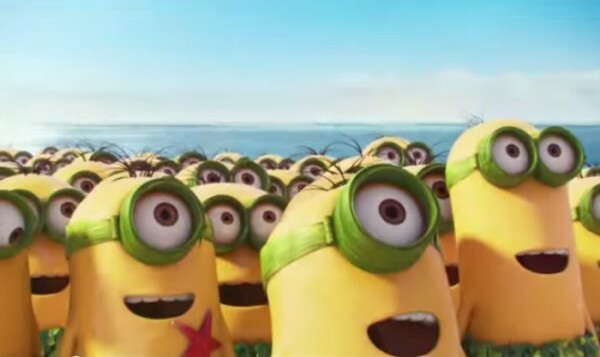 Thank the gods that the highly anticipated movie Minions hit cinemas on 18 June, 2015, just in time for school holidays. 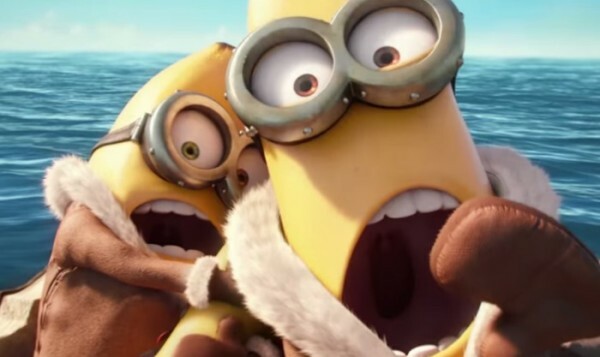 Minions follows the loveable minions, Kevin, Stuart and Bob, on a hilarious time-travelling journey through history’s most despicable characters. Enjoy an afternoon of giggles. And popcorn. Don’t forget to buy popcorn. Pawn the kids off to the neighbours. Visit your local play centre. Arrive at 7am to avoid crowds. Possibly line up the night before. Pack an enormous Thermos of very strong coffee. And socks. And Elastoplast Character Strips. Give children to your significant other (or anyone willing!) the moment they return home from work. Run away. Far, far away. Return refreshed. Visit your local trampoline centre. See Day Five for instructions. Add more Elastoplast Character Strips to your bag. Make a deluxe picnic. Pack the children’s bikes, bathers and a box of sand toys. Drive to the beach. Arrive just in time for the rain to start. Ask Nana to come over for tea in the morning. Escape through the back door with the promise of returning in five minutes with milk. Arrive home just before 4pm… forget the milk. Head out for a day of culture at your local museum. Return with a bag full of souvenirs from the gift shop. Plan a day of craft. Give up and let the kids paint the patio furniture with glitter, chalk and crayon. Power wash the entire patio at 4pm, just before your partner arrives home from work. See Weekend One for instructions. Wait patiently for Sunday evening and relish the fact the kids have school in the morning! Let’s face it, team. School holidays are all about survival. Finding a way to keep the kids happily entertained, mildly exhausted and out of harm’s way is a challenge. Accidents are bound to happen along the way. Luckily Elastoplast Character Strips have come up with a solution that makes any despicable injury a little less painful and a little more fun. If your little minions love Minions, then this is one item to add to your school holiday survival kit. Backed by over 100 years of wound care experience, the new character strips are skin-friendly, offering fast fluid absorption and resistance to saliva, sweat, water and dirt – ideal for active and busy little ones. Elastoplast Character Strips are available in supermarkets and pharmacies from July 2015. We wish you the best of luck these school holidays. 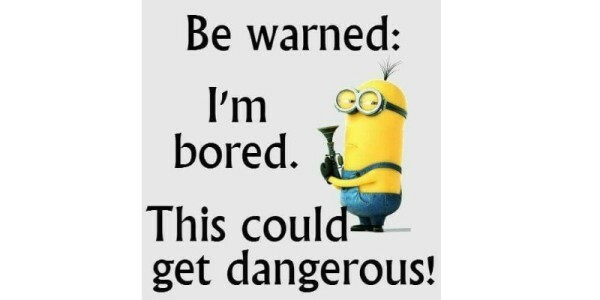 With Elastoplast Character Strips in your purse and the Minions movie on the agenda, your little minions will be protected, entertained and quiet (for a couple of hours at least). Always read the label. Use only as directed. If symptoms persist contact your healthcare practitioner. Elastoplast is a registered trademark of Beiersdorf AG, Germany.